Experience life at sea from a new perspective : welcome aboard one of the most beautiful Ferretti Yachts creation , combining innovative design, modernity and luxury materials, magnified by the unprecedent size of the windows. 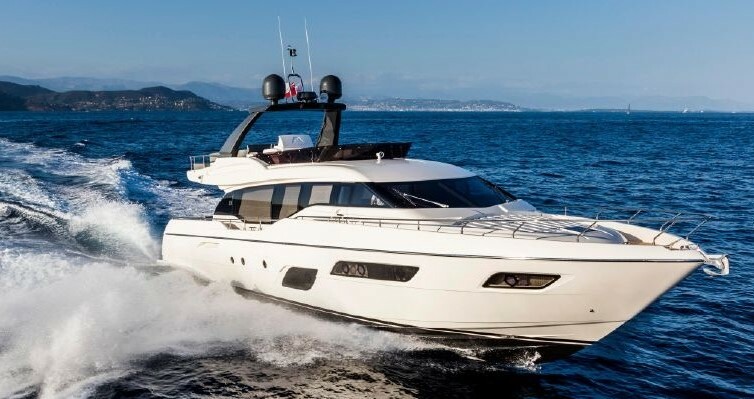 Innovative at first glance, the Ferretti 960 with an outside line balanced and athletic. Her platform in teak includes large sun bathing "chaises longues" that make the aft deck enjoyable.